Keep you and your family protected when you’re on the road with your dog. Our list of Car Dog Barriers offer peace of mind – and keep curious wet noses in back seat! A simple and elegant solution to keep your pets from poking their way to the front. The Bergan Pet Travel Barrier offers top and bottom vents to promote maximum air flow and its flexible cargo netting design fits any vehicle. 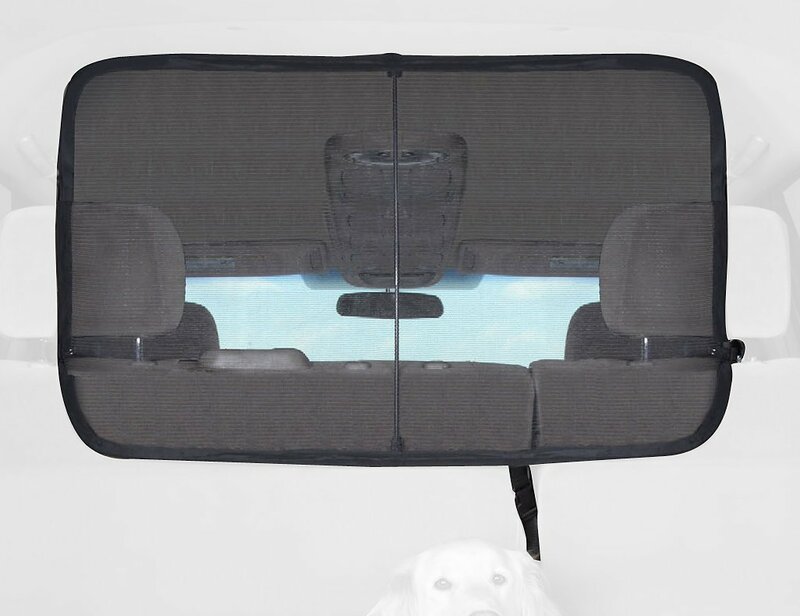 It provides a functional barrier between dog and driver without providing a ‘caged’ feel. Note, if your active dog is one to jump over the barrier or if your pooch feels anxious about riding, you may want to opt for a sturdier and more enclosed option. Get the Bergan Pet Travel Barrier here. This is a great way to close off an area of your pet while still allowing him to see and access his humans up the front. 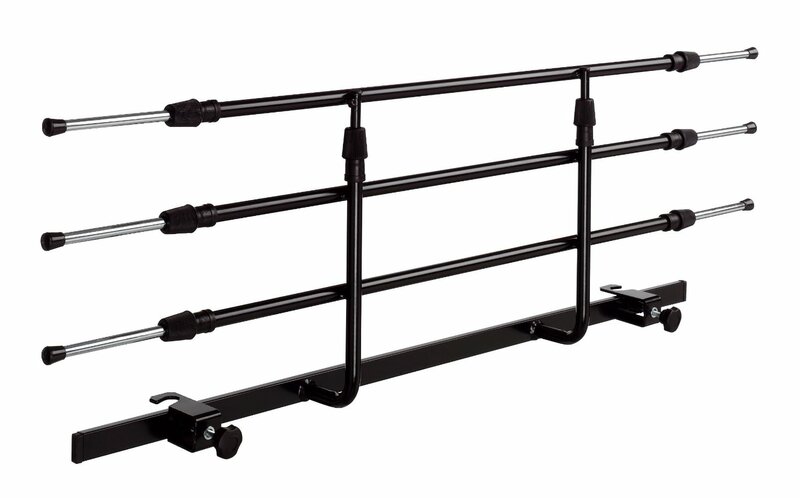 The Tubular Vehicle Barrier fits most SUV and vans by creating a sturdy divider between seats and animal. The legs adjust to any height and the tubes can expand horizontally to cover any space, while the soft brace pads keep your vehicle’s interior protected and scratch free. Great for multiple dogs of varying sizes. Get the Tubular Vehicle Barrier here. 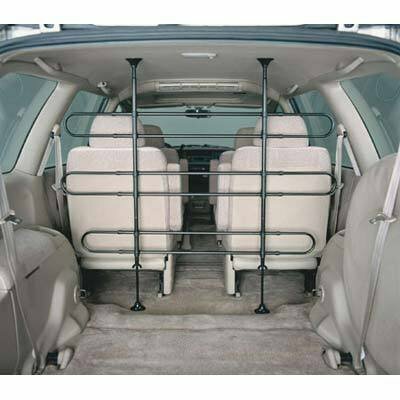 For standard vehicles, the Petego Walky Guard Car Barrier attaches to your vehicles headrests to provide a sturdy barrier between front and backseats. Adjustable to fit most cars, the compact design breaks down for easy trunk storage – so it’s ready when you need it. Also works for SUVs and vans with extendable backseat headrests. Get the Petego Walky Guard Barrier here. 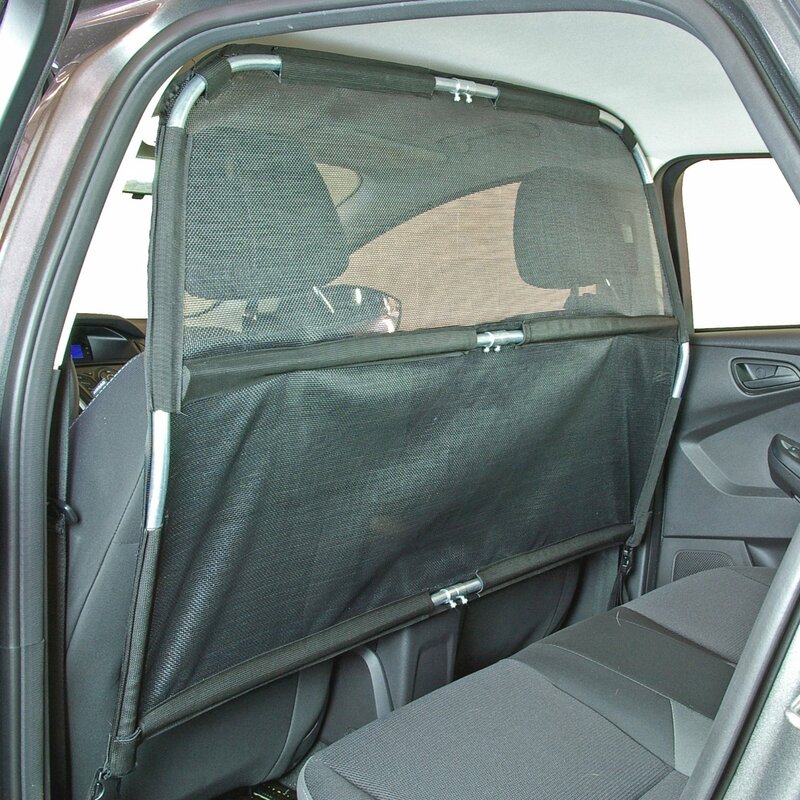 This net barrier provides a claw proof divider for your car. 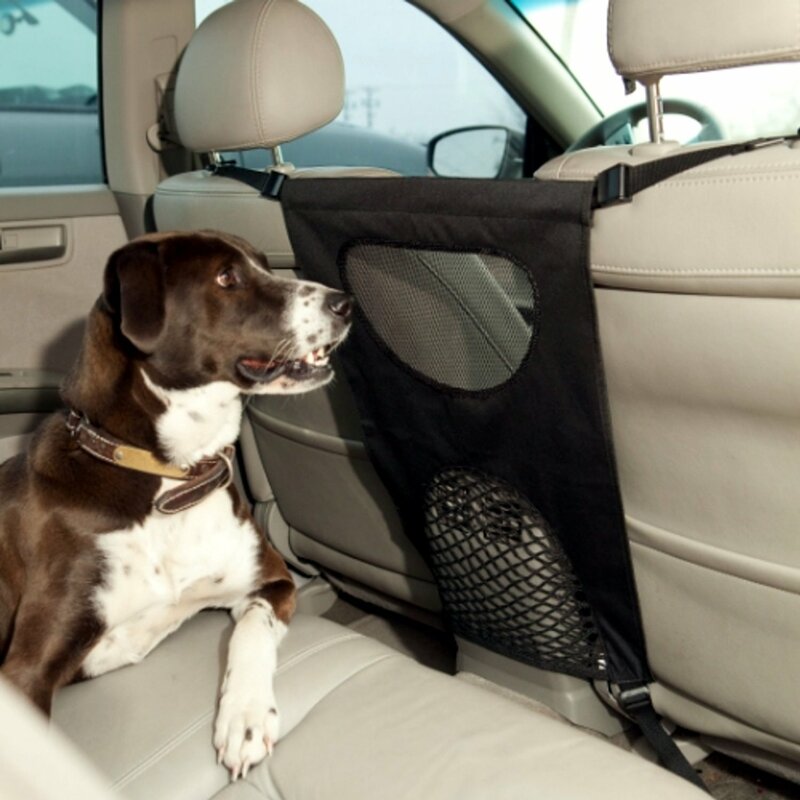 The Solvit Cargo Net Barrier attaches to your vehicle and keeps your pet from leaping into the front seat or pawing at the driver’s head. The design will fit most vehicles, but as with the Bergan, if your pet is particularly active and eager, you may need to opt for a sturdier solution. Get the Solvit Cargo Net Barrier here. Finally, the Paws N Claws Dog Barrier brings together some of the features of all the above. It features a sturdy frame design means the determined animal won’t be able to squeeze through and the claw proof mesh netting keeps eager paws and wet noses out of your hair! Available in different sizes – be sure to check your vehicle dimensions before purchasing. Get the Paws 'N' Claws Dog Barrier here. Have you tried any of these products? Let us know your thoughts by commenting below!